One dimension must be 1000mm or less. Place a standard order before 1pm and we'll print and ship your posters the same day. Print your posters on the widest range of media available online including matt, gloss and outdoor. A0, A1, A2, B1, B2. Overnight delivery is included, we don't charge extra if you need your posters ASAP. The PosterBox team is committed to providing unbeatable service and quality. That’s our promise to you. Our promises is to dispatch standard orders same day with next day delivery. We want to give our customers the complete package; great prices, quality service, quality printing and fast turnarounds. PosterBox offers you the ultimate combination of high quality printing, great service and low poster printing prices. Ordering online with PosterBox will save you money on your poster printing. See the quality for yourself and request a free poster paper sample pack. Guaranteed quality. Same day printing*. Next day delivery. Drawing on decades of experience in the large format print industry, PosterBox delivers high quality digital posters—fast! If you are in need of A0, A1, A2 or custom size posters, order online and rest assured PosterBox will deliver. See our quality for yourself. Request a free sample pack of our printing media and see the high quality we produce, day in, day out. Why choose PosterBox for Your Poster Printing? Order posters using different or multiple files at no extra charge! Same day quotes for custom poster printing orders - request yours now. Prints have arrived and everything was spot on! Thanks so much for getting the order done for us so quickly. Just wanted to thank you again for the FANTASTIC job that was done!! Couldn’t be happier! I just received my order and am thrilled with the quality and speed of your service, thank you! I received the posters. They are absolutely perfect. I'd just like to thank you a heap for your very efficient service. I received my print today, less than 24 hours after ordering it and am amazed at the quality of the print and the high level of service I received. You are legend. Thank you for being so understanding - it seems we have found the best printer in the business!! The posters just arrived and they look amazing- thank you so much. We are so happy with them. Thanks again. Just wanted to say thanks for such an amazing service. Fast, professional, quality and excellent value for money! We will be back! Thanks again! Quality is great as always! You’re brilliant! Know what you want? Get an instant, all inclusive quote. Share photos of your Posters "in Action" with us. We’re picky. Request a free sample pack and see for yourself! Register with PosterBox to receive exciting news and specials. 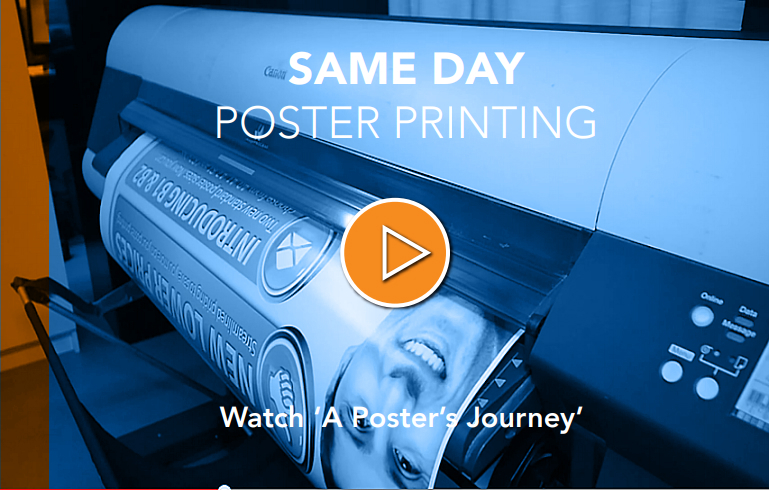 PosterBox stands to deliver high quality digital posters fast! We use the latest in digital technology to give you the best quality poster printing, matched with some of the lowest prices in Australia. We recognise the need to earn the respect and confidence from customers… period, whether it’s online or not. Here at PosterBox, we have focussed our efforts on doing exactly that. All our poster prices are up front and easily accessible. No hidden costs. One of our promises is to dispatch standard poster printing orders the same day with next day delivery—Guaranteed. We want to tick all the boxes and give all our customers the complete package. Great prices, quality service, quality poster printing and fast turnarounds. The PosterBox Guarantee to our customers is “Be totally happy with your printing.” We are devoted to providing risk free poster printing and it all starts with our simple online ordering system. Same day dispatch for standard orders, next day delivery Australia wide and complete up to date communication throughout the entire process—and at all times the ability to pick up the phone and speak to us. This is the guarantee we give all our customers, and more importantly what we deliver to our customers. We’d like to think we have all your bases covered when it comes to delivering a high level of service backed with confidence in our high quality printing. Put us to the test and come print with us. You’ve found a partner in digital printing.